There's not much to write about in terms of new releases this week. We're still dealing with a post-holiday hangover. 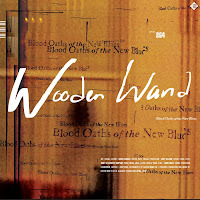 On a normal week, we might not point out a new record from Wooden Wand (pictured) or Conor Maynard, but that's the advantage of having a record out on a slow week, right? Also in the mix are the Dropkick Murphys and Broadcast. Literally, mentioning four acts is about half of the new records we know about this week. Check the other four below, and if you feel a little bit short-changed, you can take a look into the future for some exciting new albums.